If you’re embarking on building work on a property that is joined to another property you have a Party Wall. If the building works are going to affect the Party Wall you will have to formally issue a notice to the owners of the other property. The easiest way of thinking about it is as a dividing partition between two adjoining buildings that is shared by the occupants of each residence or business. For example, a wall built along a property line dividing two terraced houses, so that one half of the wall's thickness lies on each side. Think of it this way, it’s often the wall dividing your lounge from your neighbours lounge if you’re in a terrace or semi-detached property. 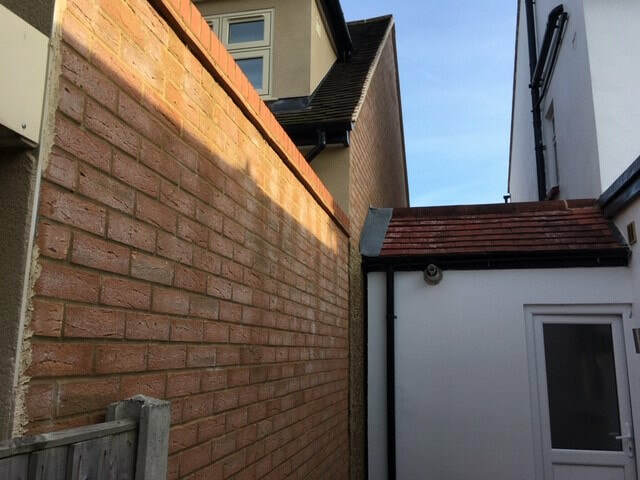 It does not matter if the party wall is a supporting wall, any work you or your builder does to it could have an effect on the neighbouring property. The law that governs how and what you need to tell your neighbours and what you can do is the Party Wall etc. Act 1996. The Party Wall etc. Act 1996, protects the rights of your neighbours on the other side of the wall and means that you have to give them official Notice if you are going to undertake any work to it. By law you have to give a minimum of 2 months notice before you start any work. Philip Antino advises that it’s a good idea to have an informal discussion with the adjoining owners before sending a Notice, letting them know what you are proposing and trying to get their agreement. It just makes everyone’s lives easier and prevents them getting a surprise. What types of work need a Party Wall Notice? What has to be included in the Notice? You also have to date your Notice and it is advisable to include a clear statement that it is a Notice under the provisions of the Act. Issuing a Party Wall Notice isn’t complicated, but if you’re uncertain and get it wrong the notice may be invalid and the whole process would need to start again. There are a lot of people giving advice but not all of it is accurate. The best place to start is by asking Philip Antino. We are just a phone call away. We asked Philip Antino: Is it a legal requirement to inform neighbours about my building works? Undertaking building work of any kind, within the home, can be an exciting and nerve-wracking time. There’s plenty to think about and organise both pre and post build. Taking expert advice from Philip Antino will help you avoid the pitfalls of current legislation such as the Party Wall etc Act 1996. Have you thought about how your budget will stretch for the exterior AND interior aspects of the build? It’s important to allocate funds to the interior finish, accessories and furnishings so that the new part of the house can be lived in as soon as possible. Also, try and keep a handle on where your money is going right from the start. Building an extension can quickly start to haemorrhage money, if careful project management isn’t undertaken. Architectural designs can help with getting the most out of your space and creating a plan of how you want your new area to look. Philip Antino’s practice can assist with these. Building control can be hired to oversee constructions and ensure that they are built in accordance with Building Regulations and associated legislation. Philip Antino has extensive contacts with approved Building Control. Builders are hired to undertake the construction of the build. Interior designers can be appointed to get the perfect finishing touches to your soft furnishings and co-ordinate colours to get the best look possible for your new room/s. Philip Antino is a leading authority on the Party wall act with two published books. In the case of informing your neighbour about the building works you are about to undertake, the professional required to do this is called a Party Wall Surveyor. If your property lies within a certain distance to the party wall of your adjoining neighbours it is a legal requirement to notify them of what you are doing. As Philip Antino advised, The Party Wall etc. Act 1996 is there to provide a process that allows certain works to be executed whilst protecting the neighbour’s property rights. During the construction of a building it is possible that a neighbouring structure may incur some negative impact. As a result, a Party Wall Surveyor may be employed to provide that protection in a written format. This is called a Party Wall Notice. A Party Wall Notice is a legal document (prepared by a Party Wall Surveyor) that outlines the works you intend to carry out. If those works are in close vicinity to the party wall or boundary wall of your adjoining neighbours, the Notice will inform them about what will take place. Getting the timing right of when to serve a Party Wall Notice, is also important, so make sure you hire a Party Wall Surveyor before your start your project. Your adjoining neighbours need two months written notice on building works which affect a party wall or boundary, and a month’s notice for excavations. Provide Philip Antino with drawings and he will be able to tell you which type of Notice your building project requires. Philip Antino and his experienced staff have dealt with over 2,000 party wall matters over 22 years, so you will be in safe hands. We fully understand that the construction process for domestic residents can be a minefield of new (and sometimes confusing) information and we are there to ease your burden – not add to it. If you need further advice you can contact Philip Antino by phone, email or completing a form. We have Party Wall Surveyors in and across Essex, South East London, Norfolk and Cambridge. There is a reason why certain builders have a reputation for being cowboys and perhaps this photograph is a good indication of just how ridiculous some of the lengths contractors will go to, to cut corners on jobs. This scaffolding (for want of a better description) comprises of an assemblage of reclaimed timbers and some scaffold boards jerry rigged to extend across this first-floor canopy roof. The contractor then proceeded to render the front elevation first floor walls, and decorate thereafter. It seems absolutely ridiculous that someone has such low regard for their own safety and life. This contraption/configuration creates so many issues that would be obvious to any person even those not operating within the construction industry that it is dangerous and unsecure. Why would they want to put their lives at risk? Well two reasons, one they are simply stupid and have no regard for their own life, or they have charged for scaffolding but then decided to save money, keeping it in their pocket and jerry rigged this arrangement. I have to say if it is the latter then it does not matter how much money you have in your pocket, if you are dead, you are dead. There but for the grace of God goes this contractor on this occasion. However, Murphys law is such that if you do something often enough then sooner or later it will go wrong. It is therefore perhaps only a matter of time before this contractor has a serious injury, hopefully not fatally. Where is H&S when you need them? If a contractor was to put this on the outside of your house, you should immediately stop him and disengage him because anyone who has such disregard for his own life, will have even less regard for the quality of the work to your property. As Forrest Gump said “stupid is as stupid does”. I do not think I will ever be surprised at the stupidity (perhaps ingenuity) of some people. I hope this helps persuade some builders that this is simply not appropriate. When should I instruct a Party Wall Surveyor? Are you currently dreaming about having your kitchen knocked through and extending into a dining/living room open space area? 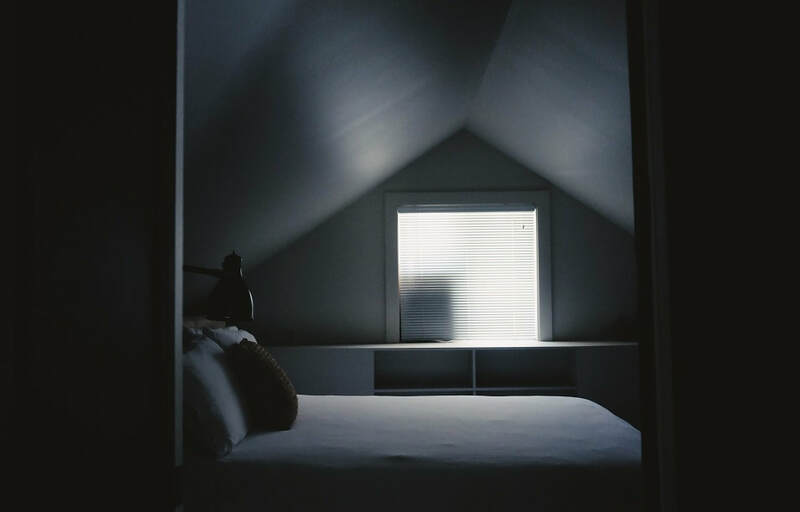 Or does the thought of converting your loft into another bedroom mean that the kids will finally stop bickering about who sleeps on the top bunk? Wherever you are in the thinking/planning process, it’s a good idea to know that securing the services of a Party Wall Surveyor will need to form part of your budget. 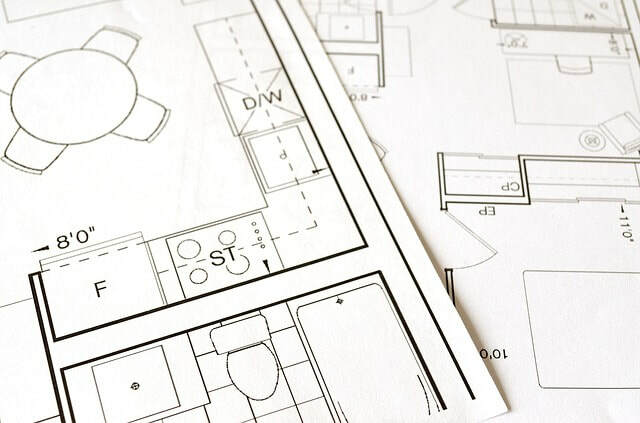 If you are further down the line with getting your project off the ground and already have an architect drawing up your plans, it’s vital that you speak to a Party Wall Surveyor. They can advise you whether or not the proposed work is covered by The Party Wall etc. Act 1996. ​You will need to give your adjoining neighbours notice of your work that is going to take place and it’s crucial that we are instructed – at least three months before you plan to start work. This will ensure that all statutory Party Wall processes are finished to avoid delaying the works. The Party Wall etc. Act 1996 offers protection to property owners when building work is being undertaken in close proximity to one another. If you live in a busy area of the UK with no room to extend out the back, to the side or to go up in the loft – digging down could be an option. Excavations are covered by the Act, so get in touch if you plan on creating a new basement area for your home. Once we have established that your works do require our services, we will provide you with a report that outlines the notices that will need to be serviced and to whom. 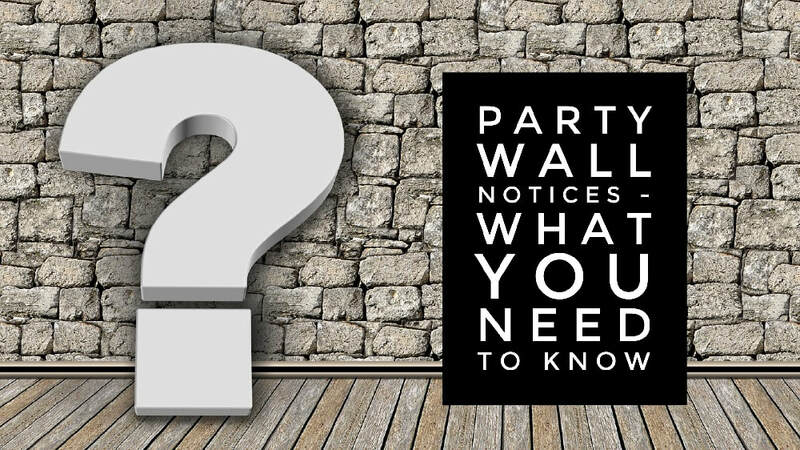 A Party Wall Notice is a written document that is given to the neighbours affected by the works. At least two months for building works to the party wall and one month for excavation work. If you choose to ignore your statutory obligations, you could find yourself in the position where your neighbour objects to your works and takes the matter to court. The result? You receive an injunction and have to stop all works on your project. The costs associated with this can be eye-wateringly expensive, so do the right thing and instruct a Party Wall Surveyor today. This point leads to the second reason why a Party Wall Surveyor is instructed. If you come home one day and find a skip outside your neighbours home and evidence of internal work going on that may affect your party wall – then get in touch. Builders should know of the impact of The Party Wall etc. Act 1996. If the works they are undertaking directly affects a party wall they should inform their clients of this fact. Unfortunately, we are all too aware of rouge builders ignoring this duty. People are ready to hire them and they too are ignorant of their statutory duty. The staff at Antino and Associates are able to offer advice on what your responsibilities/obligations are as well as explaining your requirements in relations to the party wall procedure. In addition to undertaking a site inspection, we are happy to assist in any way. So give us a call on 01245 490 019, so that we can take care of your boundary matter today! My neighbour has built an extension up to the boundary of our property, we now want to extend too. Can we use their external wall to build upon? If you are currently looking out of your window, watching your neighbours’ extension being built, you may be wondering if the dreams you have for building an extension of your own has been dashed. Well all is not lost. It often happens that when someone extends their property, it gets neighbours on the street thinking and saving to get the same or similar works done. The Party Wall Act (“PWA”) is there to help property owners realise their dreams, especially where a wall has been built on the boundary. This issue is a common occurrence for the team of Party Wall Surveyors at Antino and Associates to address. If this scenario sounds familiar and you would like more information on next steps – then get in touch. Our Party Wall Surveyors will briefly discuss your case before arranging to come and visit your property at a time that suits you. 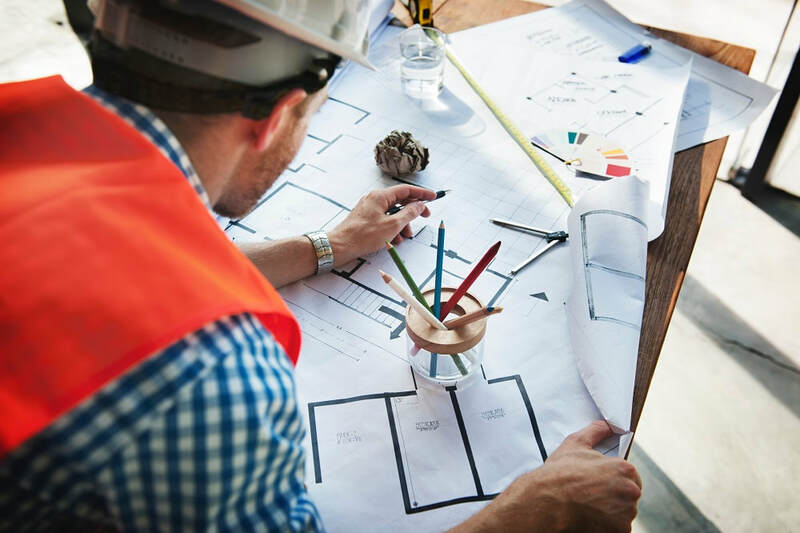 Once on site, we will assess the area and discuss your project with you in more detail – all before you incur architects’ fees for producing a scheme that actually cannot be built. Hypothetically speaking, without seeing the exact dimensions of the property, you can build your foundations up to the boundary with your adjoining neighbour. Whilst, you are allowed under section 1(6) of the PWA to project the foundations across the boundary onto your neighbour’s side. This, is however, subject to one specific condition. The projection has to be necessary. If your architect produces drawings where the foundation projects across the boundary, and it can be shown that is not necessary, then the drawings will have to be changed. It is irrelevant if the planning and building regulations have approved the scheme, they cannot override the statutory procedures. Dependent upon your Local Council regulations, planning permission may be required. Official permission can sometimes be required when existing building works has something new built on it. How can a Party Wall Surveyor help? Following an inspection of the site in question, our Party Wall Surveyor will issue your neighbour with a Party Wall Notice. In England and Wales, adjoining neighbours must be informed of your building intentions if you want to carry out any building work near or on your shared property boundary, or ‘party wall’. If you are carrying out works governed by the Party Wall Act, etc 1996 you will need to serve a Party Wall Notice on your neighbours. - taking away, from a party wall, the chimney breasts. 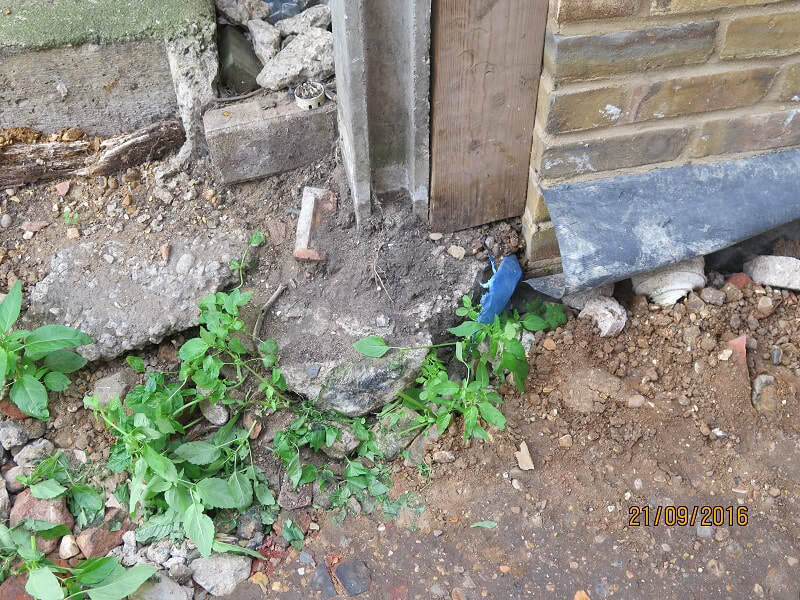 Dependant Notice must be served either at two months before the notifiable works to the party wall begin, and at least one month before the notifiable excavation works begin. Notifiable work is either building work which affects a party wall or boundary line, or excavations within three or six metres of a neighbouring property (depending on the depth of the foundations you are making). This will include most extensions and basement and loft conversions. You need to serve notice on all the owners of every neighbouring property affected by the works, both freeholders and leaseholders. We also recommend letting your neighbour know of your plans, in person, so as to help maintain friendly and open lines of communication. They will experience some of the pain of the work without enjoying the benefits, so it is crucial to keep them informed and on side. They will also be bombarded by Ambulance chasers once your planning application has been submitted to the council. They paint a bleak picture of what the works will mean and emphasise the possibility of damage being caused. They seek an appointment with the view of obtaining payment from you as the person undertaking works. I.e. suggesting a non-win fee basis but this is often not the case. Ambulance chasers should be avoided at every opportunity. Getting your scheme wrong will delay your build and increase the costs of your project. Failure to comply with the Party Wall Agreement will result in your neighbour taking you to court and obtaining (at your expense) an injunction to prevent you from continuing with the work. Getting it right will provide (forgive the pun) the foundations for a smooth build. So why not get your building works off to the right start? Get in touch with the Party Wall Surveyors at Antino and Associates today on 01245 490 019. We offer affordable and competitive prices that will allow you to achieve your dreams. Following the mediation the boundary dispute and breach of party wall matters went to court. Party Wall Surveyor, Philip Antino was instructed on behalf of the defendant Nadine Rostant-Gay. The party’s experts met at the property. 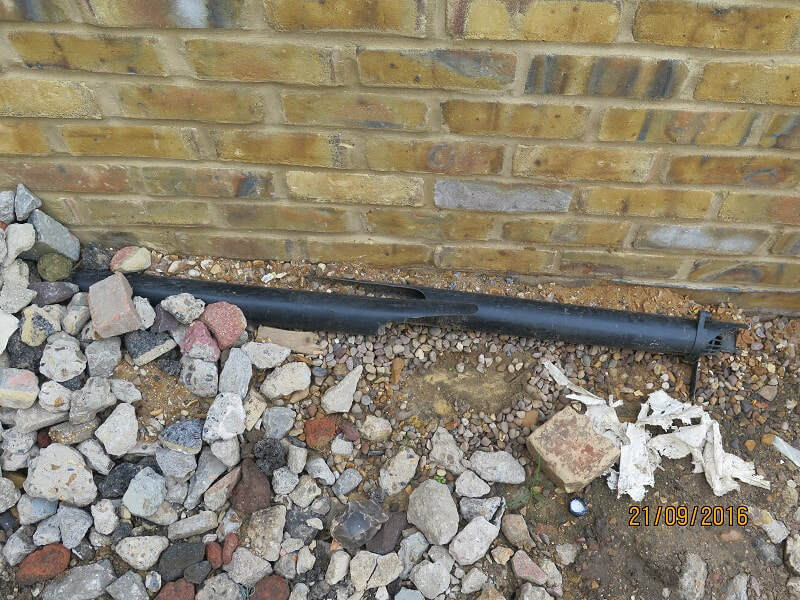 Philip Antino identified unlawful excavations in breach of s.6(1) by the claimant and a clear trespass and damage to the defendant’s garage. Philip produced a plan recording the position of the boundary between the rear garden and the claimant’s access road. The plan showed that the defendants had not taken any of the claimant’s land. The claimant’s party wall expert accepted the plan. The claimant was developing their land and required a greater amount of access which involved taking some of the defendant’s land. Rather than just making an offer to purchase the defendants land, they sought to allege (wrongly) that the defendants had taken their land. The claimant having embarked on a disastrous piece of litigation, commenced a snow ball effect of increased costs. Prior to trial, the claimants conceded (quite sensibly) and paid the defendants legal costs of £39,000 in full and paid £15,000 for a strip of land 150mm wide by 6500mm in length. Had the claimants been more open and transparent, the reality is that they could have avoided the £39,000 legal costs and purchased the strip of land for £15,000 or possibly less. ​Honesty is the best policy. Always. My neighbours have erected a wall on my land. They get irate when challenged. What should I do? During my career as a Chartered Surveyor, I have had many clients come to me with boundary wall issues. It is their belief that their neighbours new wall or fence is not where it should be, i.e. it has moved onto their land. According to gov.uk, the boundary lines are not always fully recorded between two properties. Who owns the trees, hedges, fence or wall between two properties simply does not exist. It is not a straight forward process and finding out where your property boundary is requires expert advice which may include reviewing its title plan. Title plans are maps held with HM Land Registry, which is a non-ministerial department that was formed in 1862. Title plans add an image to the written description of a property and shows general boundaries of the land and may also include parts of any adjoining land. However, it will not show boundary lines that protrude out. If you are thinking about purchasing a property, it’s a wise idea to check its title plan. This will allow you to foresee any potential issues and/or view that what’s up for sale more or less matches the title plan information. Q - Has your neighbour undertaken his building work within the law? Q - When did they do these works? Q - Did they serve you a section 1(1) or (2) notice one month before the start of his works? c) actual drawings that reflect the details of the suggested works. *photographs of the adjoining property are usually attached to the schedule of condition. If you have not received a party wall notice you may need to get an injunction served on your neighbour immediately. An injunction can get the building works stopped. Read more about how an injunction works. Building without a party wall agreement goes against The Party Wall Act, etc. 1996 and is not allowed. Read how I got on at Court when dealing with an injunction. If you have received a party wall notice but still have concerns, contact your Surveyor. He will explain to you that it is not always possible to define exactly where your legal boundary lays. During this type of dispute, it’s important to keep calm and follow the advice of your Surveyor. 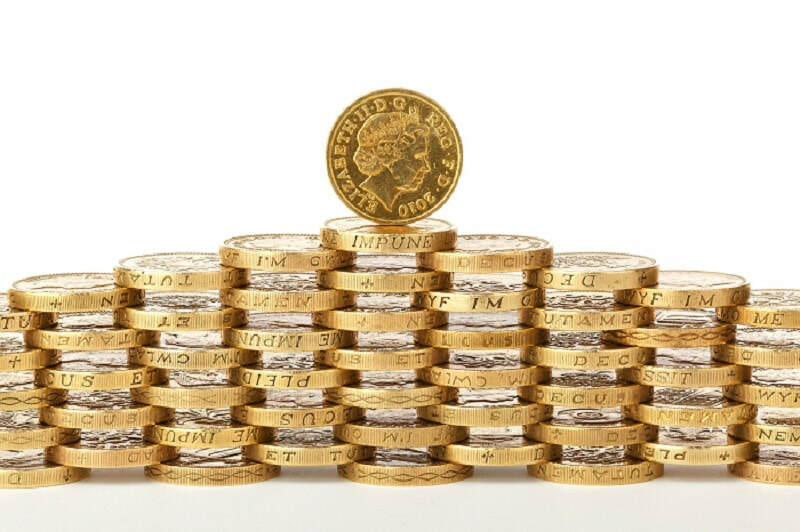 Avoid going to Court as Solicitors fees will soon see your costs spiral out of control. Discuss the matter with your Surveyor as he may consider that adverse possession has occurred. Adverse possession is when someone treats their neighbours land as though it were his own and he then takes ownership of it. The term adverse possession is also known as squatters rights. This act usually occurs when a fence, or wall, is erected and stands on land that does not belong to them. Adverse possession usually occurs over a long period of time. After 12 years, if no objection is made, the rightful land owner may lose his rights to claim back his land. Another way to resolve your boundary matter is to make an application to the Land Registry to define your boundary. They can help only if there is enough proof to verify its position. Each case is assessed by reviewing old title deeds, historical photographs and images. It will help your case if you are able to submit relevant documents, old photographs and witness statements. Determining boundaries can be a complex issue to resolve. We always recommend talking with the involved neighbours first to reach an amicable agreement, but understand that this is not always possible. 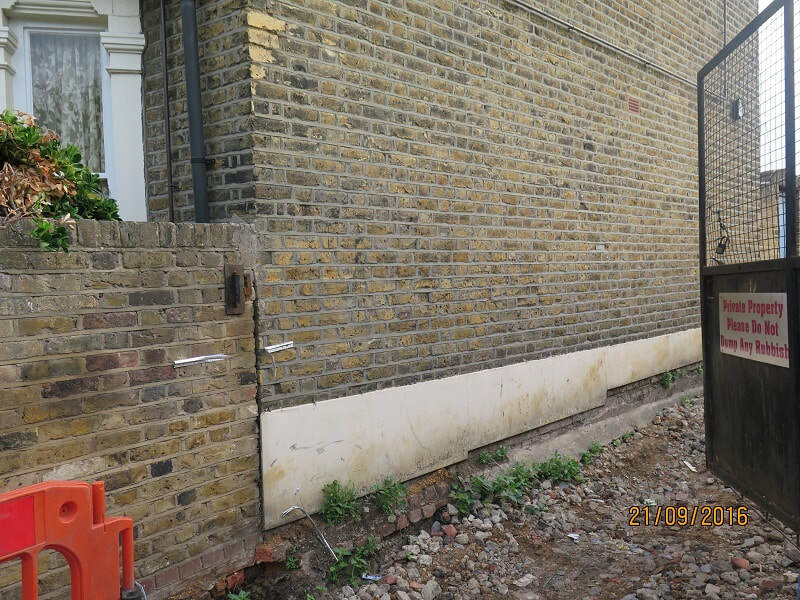 Our experienced Party Wall Surveyors have dealt with hundreds of boundary wall disputes. We have seen this problem occur across the UK, in houses big and small. If you have a situation that feels out of control or would like a second opinion – Antino and Associates can help. We can act as your Surveyor and deal with your dispute. ​We are a team of professionals that understand the stresses that can be experienced. It is our aim to offer advice that is easy to understand, provide reports that are unbiased and give speedy resolutions. We regularly travel to clients across the UK. Do you live in Cambridge, London, Essex or Norfolk? Call 01245 490 019 today to make an appointment that’s convenient for you. Anyone considering mediation as an alternative to the Party Wall Act (PWA) should read this carefully before jumping ship and moving away from the protection that parliament provides. Mr David Pett a conveyancing solicitor wrote an article on the conveyancing exchange portal. He suggests that mediation is a more effective and alternative way of dealing with party wall matters. Mr Pett relies upon the Mohamed & Lahrie v Antino & Stevens (2017) case in support of his contention. However, it is notable that he does not know the outcome of the mediation agreement between the Mohammeds and the Takhers. The decision in Mohamed & Lahrie v Antino & Stevens (2017) is being misinterpreted by various parties. The facts of the case are straightforward. The Mohammeds having breached the party wall act and other various inappropriate behaviour of which Mr Alistair Redler was a participant wanted to walk away from the PWA. The Takhers agreed although have now incurred cost which they thought they could avoid through mediation. The Mohammeds were represented by Mathew Hearsum and Nick Isaac who came up with this option. To avoid having to appeal a very solid ex-parte Award dealing with Mr Antino (adjoining owners surveyor) and Mr Leslie Calder (adjoining owners checking engineer) fees. This was served upon Mr Osborn (building owners surveyor) who refused to engage with his statutory duties under s.10(13) and agree fees with Mr Antino. Following service of a request under s.10(6) Mr Antino proceeded ex-parte. Mr Antino determined that his fees together with the checking engineers’ fees were £17,570.94 inclusive of VAT. At paragraph 13 of the Award Mr Antino offered a 30% reduction reducing the amount to £12,299.66 inclusive of VAT if the fees were paid within 16 days. The Mohamed’s did not accept this offer. Instead, acting on legal advice from Mr Hearsum and Mr Isaac they sought to appeal both Awards. Then changed their minds shortly after Alistair Redler’s conduct was questioned, they suggested mediation and at the mediation persuaded the Takhar family (adjoining owners) to agree to the appointment of an independent assessor to consider inter alia the combined fees payable to Mr Antino, Mr Calder and Mr Stevens in relation to a Third Surveyors Award. The independent determination was as follows. They should pay the engineer £2,025.90. The combined amount of £17,898.22 is £5,598.56 above Philip Antino’s reduced offer of (£12,299.66) at paragraph 13 of the ex-parte Award. In addition to those costs, the independent assessor determined that the Mohamed’s should pay Mr Raymond Stevens £9,460.50. In addition to the mediation costs, this “Agreed Surveyor” charged £8,280 which was split between the Mohamed’s and the Takhar’s. What could have been settled by the Mohamed’s for £12,299.66 is now costing them £31,498.72 plus unknown legal fees for Mr Hearsum and Mr Isaac. ​I do not understand the logic adopted by the Mohamed’s. ​However, given Master James recent criticism of Mr Hearsum attempting to claim double fees that the Mohammed’s should have their legal costs independently assessed. If anyone still believes that opting out of the Party Wall Act and using mediation is a sensible way forward, then they need to take a long hard look at the associated costs and risks associated with doing so. Whilst it might favour the legal professionals it will not suit the owners. The Party Wall Act works, when there are surveyors acting independently and not being guided by their appointing owners or their legal advisers. 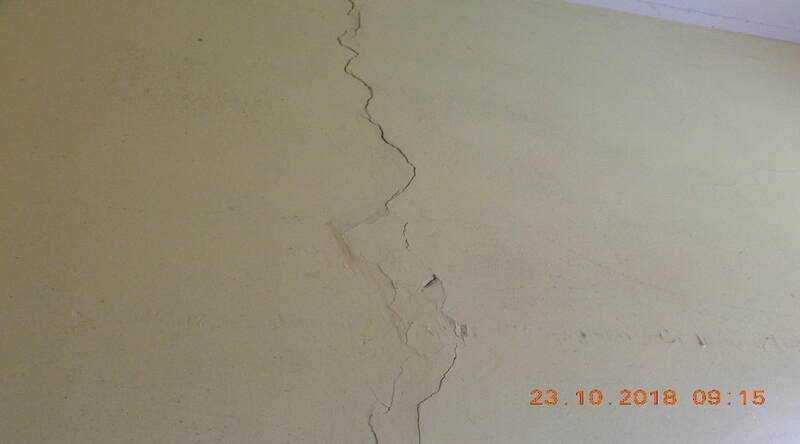 A crack has appeared on the party wall after my neighbour converted their garage. Who is liable? The Party Wall award should also refer to costs and compensation that may be awarded to you in the event of damage incurred because of the works that has taken place. ​To be clear, a Party Wall Notice is an important legal document that makes up part of the Party Wall etc. Act 1996 process and does in fact starts the process running. This act is in place to serve as a means to protect property owners when certain building works take place that impact on neighbouring properties. 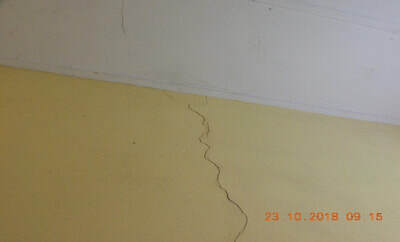 The Notice is issued by the property (Building) owner undertaking the building works. When the works are to the party wall the Adjoining (neighbouring) owners should be in receipt of this notice at least two months prior to the start of building works. It is in everyone’s best interest if a Notice is served earlier as it allows time for any issues or disputes to be resolved. Because Notices are only valid for one year, some thought has to be given as to when it is served. You do not want the notice to expire before works has started. The Party Wall etc. Act 1996 can cover building work for loft conversions, new roofs, extensions, conservatories, fences, basements and garden walls. It is important to hire the services of an experienced and professional Party Wall Surveyor to prepare and serve the correct notices. I have received a Party Wall Notice from my neighbour, what should I do next? If it is your belief that the crack has appeared as a direct result of your neighbours building works, the first thing you should do is re-read your Party Wall Notice. Check if there is a clause within it that permits a final inspection by your Party Wall Surveyor. Relay to him your concerns and he will assess whether or not the actual work is outside the remit of the authorised Notice. If his inspection reveals that the work was not permitted and/or is the cause of the crack in your garage, the building owner will be in breach of the award. So, do I need to talk to my neighbour about this? 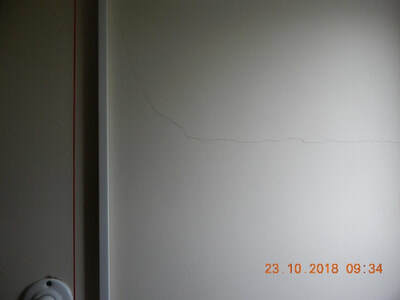 Your appointed Party Wall Surveyor is the first point of call and will be able to cast their expert eye over the cracks and make an assessment as to the cause. 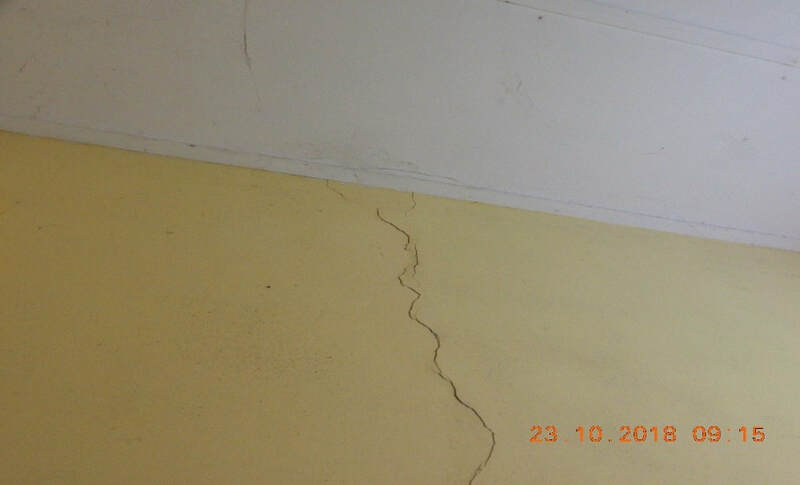 If it transpires that your neighbours’ building works have caused the cracks, he will notify the neighbours surveyor (unless appointed as an agreed surveyor) and be instructed to rectify the works or pay you in cash. Alternatively, you can use your own contractor, if that is what you prefer. Disputes over building works can cause animosity and put a strain on the relationships between neighbours. Talking to your neighbour about your concerns, may help ease tensions and reduce potential costs (or could inflame them) if the problem is not quickly resolved. In the event that an agreement is still not reached, between the two surveyors, then a referral to the third surveyor may be necessary. His role would be to adjudicate upon the situation which would add a further expense. If this question relates to a situation that you are experiencing at the moment, then get in touch today on 01245 490 019. Our team of expert Surveyors are experienced at dealing with a wide variety of party wall issues and we can be appointed in the capacity of: Agreed Surveyor, Adjoining Owners Surveyor and Building Owners Surveyor, if the works have not yet started. If you feel that your Surveyors are not acting correctly then we can act as an independent advisor. Whilst we are based in Chelmsford, our party wall surveyors are and indeed do travel across the UK visiting clients in the south east of England, but predominantly Essex, London, Norfolk, Cambridge and beyond. Under the Party Wall etc. Act 1996 it is widely accepted that the appointed agreed surveyor, building owners surveyor and adjoining owners surveyor cannot get paid until an Award has been issued setting out what their fees are. The only surveyor under the statutory legislation (s.10(11)) that can be paid prior to release of an Award is the third surveyor. This is because the third surveyor does not have a statutory appointment and/or a contract at common law with either the appointed surveyors and/or building and adjoining owners, neither does a s.10(4) surveyor. This point was raised by Philip Antino in Mohamed v Antino & Stevens (2017), and further reinforced by Ray Stevens (the third surveyor). The matter was before HHJ Bailey and it was accepted that the third surveyor had no contractual obligations and therefore had considerable difficulties of getting paid outside of the Act. Clearly this issue must have been the underlying purpose behind the third surveyor’s right to request payment prior to release of his Award. Ironically however, this creates a problem for the third surveyor where the owners have refuse to pay his fees. If he does not release his award (because he has not been paid) he will never get paid. So a situation arises where the parties fearing perhaps an adverse decision against them or indeed simply because they do not want to pay any costs, refuse to pay in the belief that the third surveyor will not issue an Award. There is one particular surveyor who occasionally gets appointed as a third surveyor and openly boasts having a number of third surveyor awards sitting on his shelf. He will not release them because he has not been paid, (which seems to be somewhat counterproductive). If as the Third Surveyor you are not prepared to release the awards prior to payment you might as well not take the third surveyor selection in the first instance. Notwithstanding, however, with regard to the building and/or adjoining owners surveyors generally party wall matters are concluded quickly and that applies to the majority of cases, being a matter of weeks rather than months or years. There are the odd cases where one party is acting unreasonably and matters become delayed or stalled for a considerable period of time. In such circumstances the issue arises as to whether or not a surveyor is entitled to make an application for an interim payment. The author as the adjoining owners surveyor did this in one recent party wall matter (still live) where the building owner who is a solicitor took great exception to the request for payment, his appointed surveyor also disputed the right to make an application for an interim payment claiming that unless it can be shown under the Act that there is a right to do so, there is no obligation to pay any monies on account. Well s.10(13) entitles surveyors to make a determination for reasonable costs and s.10(12) for matters arising out of or incidental to. (c) any other matter arising out of or incidental to the dispute including the costs of making the award; but any period appointed by the award for executing any work shall not unless otherwise agreed between the building owner and the adjoining owner begin to run until after the expiration of the period prescribed by this Act for serve of the notice in respect of which the dispute raises or is deemed to have arisen. A referral was made to the third surveyor. The third surveyor said that in his view, that where circumstances indicate it is reasonable for a surveyor to be paid a sum on account of their services. The building owners surveyor claimed that this was simply wrong and that because the third surveyor had now given an indication of how he would rule that he should step down under s.10(9). A tactic now adopted by those having a weak position, claiming that the surveyor could no longer act because of a perceived or actual conflict of interest. That was simply wrong and s.10(2) prevents this. It was ridiculous position to adopt and indeed his appointing owner (solicitor) to suggest that because the surveyor was saying look guys this is actually my view. If you want to make a referral to me I will but this is what I am going to say, created a conflict. Now the author (Philip Antino) again wrote to the building owners surveyor and said in clear and explicit terms “I have asked for a payment on account, I have not specified the amount and it is open to you to make an offer. It seems sensible to do so, to avoid incurring the cost of a referral to the third surveyor. The building owners surveyor responded claiming that there are no grounds to make an interim payment but he would happily reach an agreement on the total fees because he believed that the party wall matters had been concluded. Mr Antino did not accept that the matters were concluded. On the face of it, it seems ludicrous that the building owner and/or more importantly his appointed surveyor should adopt this approach claiming that an interim payment could not be made when matters had been ongoing for over a year. The building owner clearly accepted that there was a liability to pay fees, those fees were subject to discussions/agreement or a referral to the third surveyor on their reasonableness at some stage in the future. ​Having accepted liability to pay something they did not advance any offer other than one on a full and final settlement which was not accepted. This was on the face of it quite clearly a ridiculous position to adopt because having now accepted liability that amount became payable. There is a right in law where there is an accepted liability that payment should be made on account. The building owners surveyor was again invited to reconsider his position, he was adamant there was no right for an interim payment, and no liability, the referral was made, costs started to accrue at quite an alarming rate. After several weeks the building owners surveyor changed his position and accepted that an interim payment can be paid but only where liability has been determined. Not realising that his offer of £2,000 was in fact an admission of liability in part. Having this pointed out to him by Philip Antino they continued to argue the point and it was referred to the third surveyor. Not surprisingly, the third surveyor determined that interim payments can be (in certain circumstances) reasonable and that as there was an accepted liability for £2,000, that would be a reasonable amount to pay on account with the balance to be agreed between the parties at some time in the future, or by way of a further referral. The building owner threatened an appeal but did not actually go through with it and has now paid in addition to the £2,000, £910 for Philip’s costs in the referral and £1,250 for the third surveyor. My neighbour has started work on a single storey extension without telling me. What should I do? Are my excavations within 3m or 6m of my neighbours’ property? Will the work I am doing affect my neighbours’ property and/or the party wall or walls on the boundaries? Will my builders need access to my neighbours’ property to build my wall on the boundary? Will we need access generally? If the answer to any of these questions is 'yes', then your neighbour must serve you a party wall notice and reach an agreement with you. A Party Wall Award records building works that are to take place on a shared boundary, a party wall or excavations within certain distances. Its aim is to prevent any disputes both before and during building works. It also confirms the exact nature of the works with neighbour/s. What is a shared boundary? A shared boundary, also known as a party wall, is a wall that stands on the land of two or more owners. This can be part of a building or structure, such as a garden wall. It can also be a wall that joins the property of one landowner that is used by others. When should I have received a party wall notice from my neighbour? A notice is issued at least two months before starting any work. This is known a Party Wall Notice. It should outline the details of the building works, which may affect your party wall or boundary. If the work involves undertaking an excavation, the notice period drops to one month. If the work requires planning permission, permission is not required to serve the Party Wall Notice. Your neighbour then has a year within which to start their building project. If you approach your neighbour once work has started, and they were unaware that they had to issue a Party Wall Notice, they should stop works immediately. They should then hire the services of a Party Wall Surveyor to draw up and issue you with a Party Wall Notice. Before seeking an injunction, it is important that you seek advice from a qualified and experienced Party Wall Surveyor. An​tino and Associates have a wide range of contacts, throughout the UK and they know barristers and solicitors that specialise in this particular area of law. Issuing an injunction is often the last course of action that people take. It can be a costly, time consuming process that can create bad feelings between neighbours. If your neighbour does issue you with a Party Wall Notice, you will have fourteen days to respond. You can now either take on the services of your neighbours' Party Wall Surveyor or hire one yourself. There will be no conflict of interest as it is the duty of all Surveyors to act with impartiality. They need to provide objective advice, based on the facts, for every client. Whomever you appoint to work on your behalf, the cost of the hire will fall to your neighbour. In need of further advice? Do you want to be clear about the legal remits of the work taking place? Then get in touch with a member of our staff on 01245 490 019. Our experienced Party Wall Surveyors deal with all kinds of boundary issues and injunctions. They will confidently advise you of all stages of the process, according to your individual case. Whilst our office is in Chelmsford we have clients across Essex, London and the UK. 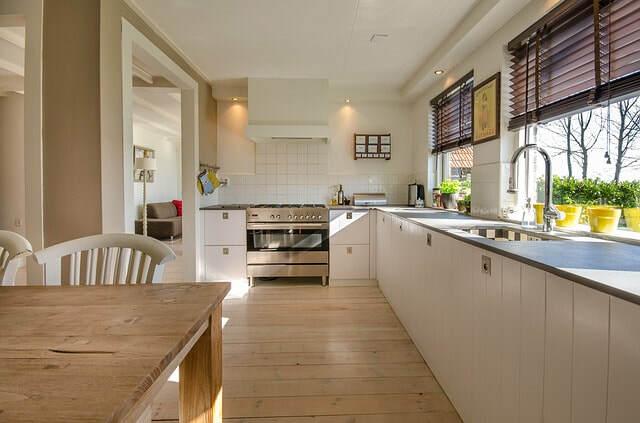 I’m thinking of building a kitchen extension – do I need a party wall agreement? I dream of building a large, open-plan kitchen, but don’t want to move home to get one, would a kitchen extension be the solution I’m looking for? Not only will this type of extension give you the extra room you desire and better flow of space, it could also add value to your home and be considerably cheaper than moving. It’s important to write a list of all the features that you already have in your kitchen, then add the features and appliances that you wish to include in the space. Involving a Kitchen Company at an early stage is also key to achieving your goals. We would recommend www.emersoninteriors.co.uk for your first point of call. Rather than buying a new home, you get to alter and personalise your existing one. You are in control of creating the additional space in the areas you actually need it. Instead of handing over a huge deposit on a new home and paying solicitors fees, stamp duty and a removal company to get your furniture there, extending your home will save you money in the long run. Cost is affected by how complex the build is and sticking to a simple design can mean paying less. It’s a good idea to avoid having things made to order and take on some of the work yourself - if you’re confident. Labor and materials might cost more for unusual shapes and designs. Building over a manhole might require diverting the drains and incurring further costs and most certainly a license form the local water authority will be required. Extending your kitchen can effectively raise the value of your property as the aesthetics and design will be updated. As well as increasing the square footage, with the right design, your home will become more functional. So will my kitchen extension require a Party Wall Agreement? Party Wall Agreements are most commonly needed for building works that involve extensions and loft conversions that require the insertion of damp proof courses and the excavating of new foundations. Before commencing work on your kitchen extension, you (the Building Owner) will need to give the affected neighbours (Adjoining Owners) Notice of your intended works. Their response will dictate whether a Party Wall Agreement is required. This will be prepared by a party wall surveyor and will outline how the works will progress. To start this process, you will need to serve a Party Wall Notice on your neighbours, in writing, about the planned party wall works. This notice must be given to your neighbour between one and two months before you plan to start building works. You can speak to your neighbour to explain the work you want to carry out, before giving notice in writing. · dig below and near to any structures on your neighbours property. The role of the Party Wall Surveyor (or the “Agreed Surveyor” if the two owners can concur in a single appointment) is to prepare a document known as a “party wall award” (sometimes called a “party wall agreement”).This document sets out the owners’ rights and responsibilities in relation to how the work should proceed and covers items such as working hours, what happens in case of damage and access for the surveyor(s) during the course of the works. In simple terms a party wall divides the buildings of two owners with the boundary between ownerships, usually, but not always positioned at the centre of the wall. If you live in a semi-detached or terrace house you share a wall (or walls) with your neighbour and that wall is known as a party wall. Party walls usually separate buildings belonging to different owners, but could include garden walls built astride a boundary known as party fence wall. Where a wall separates two different size buildings, often only the part that is used by both properties is a party wall, the rest belongs to the person or persons on whose land it stands. What is a party wall used for? A party wall is for the benefit and convenience of both owners. Each adjoining owner has the right to its full use of the party wall in the improvement and enjoyment of his property. Neither owner can use the wall in a manner that impairs the other's easement or interferes with his or her property rights. An owner is not entitled to extend the front wall or rear wall of his building beyond the middle of the party wall. In addition, an adjoining owner can position beams into the party wall but not beyond the middle of the wall. Neither party can attach fixtures over the adjoining premises such as window shutters, pipes, gutters etc., even if the fixtures do not damage, or interfere with, the rights of the adjoining owner. An easement does not give either owner a right to construct and maintain a roof or cornice that extends beyond the party wall and over the property of the adjoining owner. Will my kitchen extension need planning permission? If the work is classed as permitted development, you won’t need to apply for planning permission, but you may wish to apply for a certificate of lawful development, which proves the project is legal. If you do need planning permission, you will have to apply to the local council, and may need additional reports and drawings. Whichever route you are taking, you will need building regulations approval. It may be necessary to issue a party wall notice if you are building on or close to the boundary with your neighbours. If you are thinking of building a kitchen extension (or any extension) or are already underway with drawing up your plans get in touch with the team at Antino & Associates on 01245 490 019. 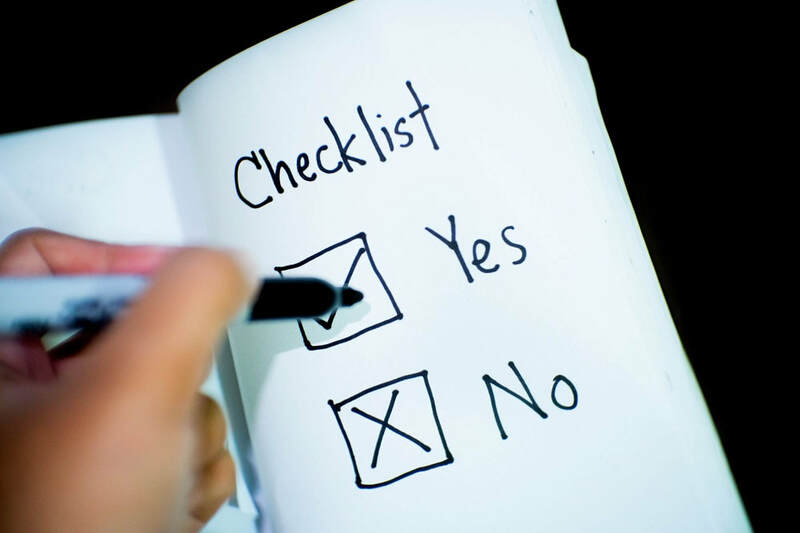 We can advise you of next steps to ensure that your project moves forward without any hiccups. Our Party Wall Surveyors are based in Chelmsford but travel across the UK to deal with all types of party wall issues. The owners of No. 1a Thorley Hill, Bishops Stortford, Hertfordshire, CM23 3ND submitted an application to East Herts Council for front and rear extensions under planning application 3/18/0899/HH. ​This incorporated a two storey front extension and a single rear extension. The owners of No. 1 Thorley Hill were concerned that this would have a detrimental effect on their property and their quiet enjoyment of their house. 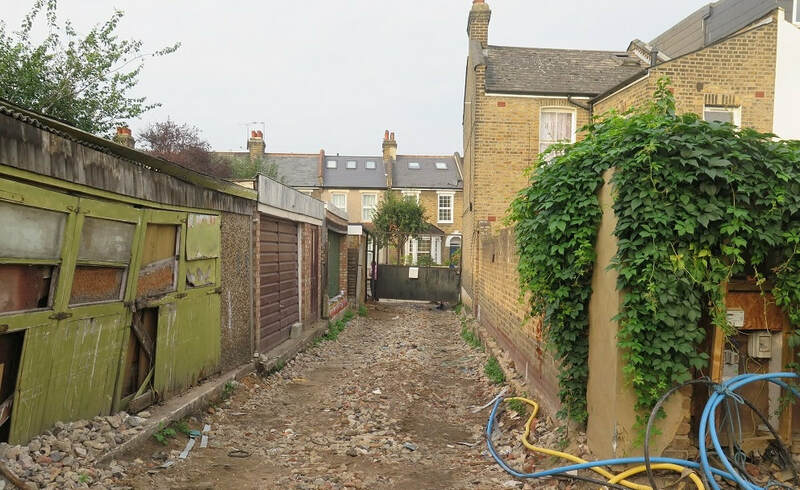 They instructed, party wall surveyor, Philip Antino to carry out a detailed assessment of the local authority planning and national planning policy framework policies, the site, the proposed works and to provide advice. ​Mr Antino’s findings were such that he believed that there were justified grounds to register objections with East Herts Council opposing the proposed development, particularly the double storey front extension which was within a matter of several metres of No. 1 Thorley Hill. It was further of notable concern to Mr Antino that No. 1a Thorley Hill had already been extended substantively to the side with double storey extensions and to the rear, increasing the original footprint by some 350%. Upon consideration of the relevant factors and the East Herts local plan 2007 policies EMV1, EMV5 and EMV6 together with the national planning policy framework submissions were made to the East Herts Council in the following terms. The proposed front extension by reason of its scale, sighting and design would cause unacceptable harm to the amenity use of No. 1 Thorley Hill which would result in a significant loss of light and create an overbearing effect for the occupiers of No. 1 Thorley Hill. The proposed extension, by reason of its scale, sighting and design would cause unacceptable harm to the character and design of the surrounding street scene. ​The council took into account the representations made by Mr Antino on behalf of his clients and reached the decision having full regard to those representations, the development plan and all material considerations that the planning application should be refused for terms as clearly set out and submitted by Mr Antino on behalf of his clients. The Council accepted Mr Antino’s submissions and rejected the application. If your neighbour has submitted building plans that you oppose, contact the party wall surveyors at Antino and Associates.